Last week continued to show some residual strength. The Dow set new highs and most of the major averages were up around 1% for the week. 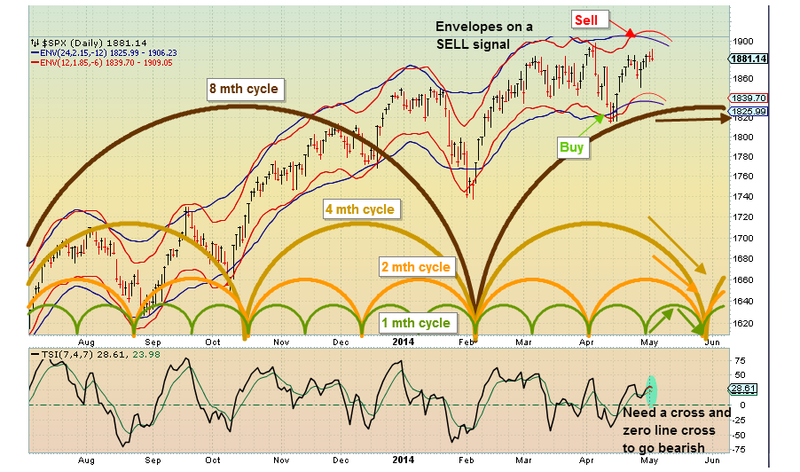 The market shows little evidence it is going up a lot or down a lot near term. That is how tops are made, they bore investors into inaction. GL traders. I suppose a full on War in Ukraine could cause additional downside movement. For now (month of May) I hold RWM. Equities market cap now exceeds GDP. One of the surest signs of over valuation. A reset is in the future.